Which TV shows are doing the best? The worst? Cancelled or renewed? Wondering how your favorite series are doing in the ratings? Here are the season average ratings of the 2016-17 network TV shows — through the end of week one (Sunday, September 25, 2016). ABC shows (so far): 20/20, Black-ish, Dancing With The Stars, Designated Survivor, Dr. Ken, The Goldbergs, Grey’s Anatomy, How To Get Away With Murder, Last Man Standing, Marvel’s Agents Of SHIELD, Modern Family, Notorious, Once Upon A Time, Quantico, Secrets And Lies, Shark Tank, and Speechless. CBS shows this season (so far): 48 Hours, 60 Minutes, The Big Bang Theory, Blue Bloods, Bull, The Case Of, Hawaii Five-0, Kevin Can Wait, MacGyver, NCIS, NCIS: Los Angeles, NCIS: New Orleans, and Survivor. 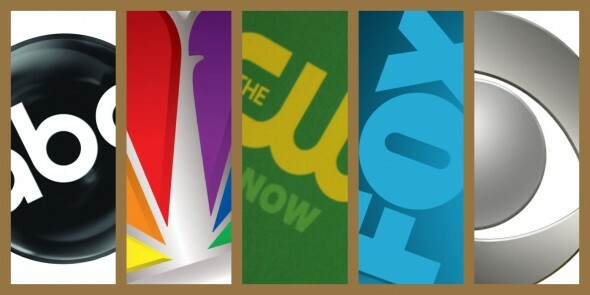 FOX shows this season (so far): Bob’s Burgers, Brooklyn Nine-Nine, Empire, The Exorcist, Family Guy, Gotham, Hell’s Kitchen, The Last Man On Earth, Lethal Weapon, Lucifer, New Girl, Pitch, Rosewood, Scream Queens, The Simpsons, and Son of Zorn. NBC shows this season (so far): The Blacklist, Blindspot, Chicago Med, Chicago PD, Dateline NBC, The Good Place, Law & Order: Special Victims Unit, Superstore, This Is Us, and The Voice.